Triumph have issued a safety recall for many of their Street Twin and Bonneville T100 and T120-based models to fix a fault with the headstock tidy which could cause damage to the wiring loom. Owners are urged to book their bikes in with their local Triumph dealer as soon as possible, where technicians will fix them in "less than 30 minutes." The recall will be carried out for free, including all parts and labour. The fault concerns the clutch cable potentially wearing through parts of the wiring loom, which could affect the operation of indicator, main beam and in extreme cases lead to a loss of engine power. 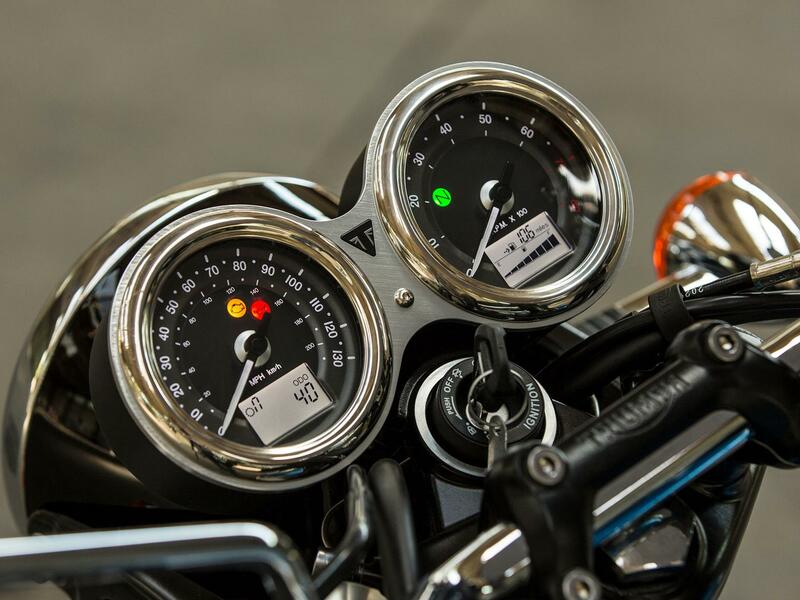 A Triumph spokesperson told MCN: "Triumph have launched a safety recall concerning the Headstock Tidy on certain Street Scrambler, Street Twin, Street twin A2 Licence Version, Street Cup, Bonneville T100, Bonneville T100 Black, Bonneville T120 and Bonneville T120 Black to remedy an indicator and main beam malfunction and possible loss of engine power caused by the clutch cable contacting the main harness, causing damage to the wiring within the main harness. "68,686 motorcycles are affected globally. Any concerned customers are asked in the first instance to contact their local Triumph Dealer as soon as possible who will be able to carry out all necessary work as required at no cost to the owner." According to The Federation of European Motorcyclists' Associations (FEMA) the recall affects bikes produced between 11 August 2015 and 13 January 2019, however there is no word yet on how many UK bikes are involved. Is my Triumph affected by the recall? According to Driver and Vehicle Standards Agency (DVSA) information available online, 7783 machines are impacted by this news, however it's unclear whether this is just bikes in the UK.